Are you an independent fitness brand, instructor or business? ​​If so, you can list your classes on our platform for FREE. ​We're looking to partner with incredible fitness providers big & small so we can fill up any empty spaces in your classes. We currently partner with the likes of Zumba, Hula Fit, Swedish Fit, Rocket yoga, Dance Works, Bounce Dance Fit, Supafresh Dance, Pole Fit, Trampoline Fit and lots more. Partnering with us is the simplest way to increase your revenue and client base without costing a penny. No lengthy configuration required. All we need are a few details to get you set up. We manage all the bookings through our simple booking system & app. Show off your classes to our fitness loving community! ​London Live Fitness is the gateway to active, fitness fanatics. We’ll promote your classes for free via our app, website, newsletters and social media. ​No catches, no additional costs. We'll help fill any unused spots in your classes and pay you directly for every client that attends. ​It's the simplest way to grow your revenue & client base. It’s super simple here at London Live. You list your classes and availability on our platform, and members can search, find and book via the website & app. When you list with us we will automatically set you up on Classpass & MoveGB. Showcasing your classes to huge numbers of fitness enthusiasts. All integrated onto one platform making it super simple to manage. ​Every time they attend one of your classes, you get paid. ✔ Add & Remove Classes. ​✔ Adjust your availability any time. ✔ You'll never be charged a fee to list your classes with us. ✔ We'll pay you for every attendee. ✔ Total flexibility designed to fill up empty spaces in your classes. We set up London Live Fitness back in 2012, the year of the amazing London Olympics. We list over 400+ classes every month, with new classes being added every week. We promote our classes to over 100,000 people via our database, website, app & social media. We pay our providers monthly, by direct bank transfer. Plus you get access to tools for reporting and client stats. what's the cost for my business to join london live? Nothing, it's free! We don't charge you a penny. ​We pay you for every attendee. No catches. Is there a minimum joining commitment? We work on a month to month basis & you can make changes at any time. We don't have any lengthy contracts or anything to tie you in for any longer than you want to. If you're interested in joining our network, please fill in the form below and someone from the team will get in touch. 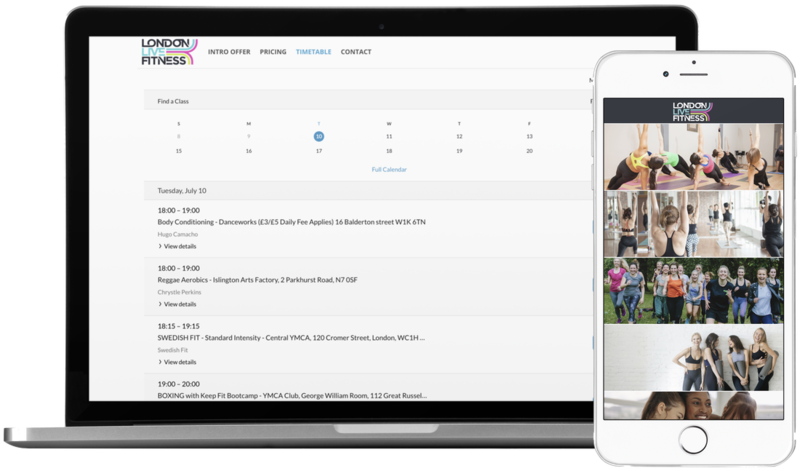 If you would like to find out more about listing your classes with London Live Fitness just pop your details in the contact form and we will be in touch with more information.